This is a valuable skill that is possessed by less and less children these days. He is able to delay gratification. In other words: He is patient! He is able to see both sides of an issue. This is a special “skill” that many adults lack! He appreciates and has a respect for diversity. He is not bothered in the least bit by people that are “different” than him. He is aware of his surroundings and is alert to potential safety issues and/or concerns. He is observant. Sometimes arguments just aren’t worth the time and effort that goes into having them. A well-rounded child knows when to drop the issue and how to bow out gracefully. “Thank you” is not something that goes unsaid. He shows his appreciation when appropriate…and that appreciation appears to be genuine. He is able and willing to put others first. This one is self-explanatory…and well-rounded children do this without being asked. Instead of dwelling on the negatives, this child looks “at the bright side” of any given situation. He keeps things positive and refrains from negativity. He learns from his mistakes. He takes responsibility for his actions. Rather than making up silly excuses and/or blaming others, this child takes full responsibility for his actions and accepts any repercussions that might result. He takes good care of his mind and his body. He eats healthy while keeping junk food to a minimum. He reads and seems to enjoy learning. He avoids harmful substances such as tobacco, alcohol, and drugs. He gets regular exercise and possibly even plays a sport. He might even play an instrument or participate in a school club. He does things in moderation. Video games don’t rule his day. An endless barrage of sweets isn’t necessary in order for him to make it through the day. He spends time doing a variety of activities…with a variety of friends. He is able to put his mobile device away for an hour or two at a time without going spastic! You get the idea! Can you think of any other qualities that well-rounded children possess? Got kids in the car? If you are a busy parent that is constantly searching for things in your car that AREN’T there, then this list is for you! Wet Wipes– These are great for quick hand-washing, cleaning messy faces, and other uses that require a bit more than just a napkin. Hand Sanitizer– Great for hand-washing (quick fix for sticky hands!) or general sanitizing. Fingernail Clippers– This multi-purpose tool has many uses. You never know when you might need one! Kleenex– This is a no-brainer! Napkins– Hitting the drive-through? We know all-to-well that these rarely make it in the bag when we pick up our food. I always keep a small stack in my glove box. Paper Cups– These are especially useful if you have more than one child. I often use these when my daughters want to share a drink after stopping at a convenience store. They are also useful for a variety of other reasons. I usually keep only two or three of them in the car at a time. Lotion– Because dry skin is a drag! Band Aids – You never know when you might need one…and there’s nothing worse than needing one and not having one! Small Blanket – Because kids like to take naps sometimes! A small travel pillow would also be nice! Pen – These come in handy quite often! Sticky Notes – Need to write down a number or address? This would certainly help! Loose Change– Because vending machines and parking meters are a reality we must deal with at times! Q-tips – Can be used for more than just cleaning one’s ears! Handy to have around! I have a small plastic box in my car that I replenish every-so-often. I can’t begin to tell you how often I resort to this little box during various escapades! Can you think of any other items that are a must-have for traveling parents? 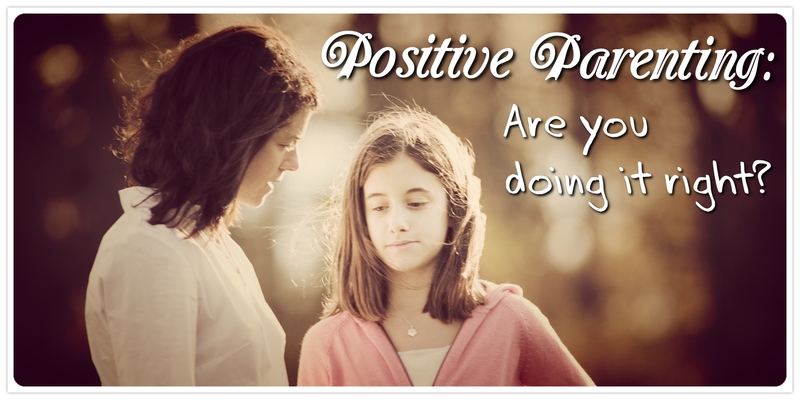 Positive Parenting: Are You Doing it Right? Positive parenting involves the use of firm but fair discipline. This means that parents need to be assertive when stating expectations (or when giving instructions) without sounding too wishy-washy or timid. It is equally as important for parents to be reasonable and just when dealing with their children. Failure to do so is likely to result in further behavior problems. Positive parenting involves the ability to communicate with one’s child in a calm, positive, and constructive manner…without resorting to yelling and/or threatening. An “out-of-control” parent is rarely, if ever, effective. Positive parenting also involves a high level of patience and empathy. Understanding a child’s feelings and motivations will (in most cases) lead to a more positive result with regards to managing that child’s behavior. It is important for parents to choose effective consequences if improved behavior is the desired result. This includes positive and negative consequences. Ineffective consequences are unlikely to motivate a child to behave better…and a lack of motivation usually means a lack of change. Positive parenting means being involved and being connected to one’s children! Children need to feel as though they are not only loved and cared for, but truly appreciated by their parents. Spending quality time with one’s children is essential to building that child’s self-esteem and developing their self-worth. If you are interested in becoming a more positive or effective parent then The Parent Coach Plan is perhaps something you should look into. It is a simple and effective behavior plan that promotes positive parenting. This entry was posted in Parenting, Parenting Tips on January 8, 2016 by admin. Are you sabotaging your child’s behavior? 1. Allowing your child to consume too much sugar and/or caffeine! Not too long ago, I was at a family-friendly eating establishment with a group of adults, many of whom brought their children. As the evening wore on, one of the adults kept complaining about how “hyper” her six year-old child was. I had to do all I could to bite my lip and not point out the fact that the six year-old was finishing up his second large caffeinated soda and was literally walking around the place with a large bag (even larger than a typical “movie theater” bag) of gummi bears…sour gummi bears! No wonder this kid couldn’t sit still! If it’s close to bedtime and every light in the house is on, the dog is barking and whining outside, the TV is on in one room and the music in another, the dishwasher is running, the house is a mess, baby brother is crying, and mom is getting constant text notifications on her phone…then it might be time to alter one’s environment, and real quick-like! Children are easily over-stimulated and this can lead to irritable, fussy behavior. 3. Giving-in to tantrums, whining, begging, bargaining, and other negative behaviors. “Giving in” to any of the behaviors listed above will likely result in a repeat of such behavior. Act quickly and swiftly when confronted with any of these annoyances! It’s great that your child plays two sports, babysits regularly, plays an instrument, has weekly scout meetings, and attends church-related activities each week…but give the kid a break! This is too much! Even if you think your child enjoys all of this…it is still too much! 5. Setting expectations for your child that are unrealistic or unfair. Unrealistic and unfair expectations are a great way to destroy a child’s self-esteem and self-worth. It’s also a great way to create animosity and revenge-seeking behavior. 6. Ignoring or disregarding your child’s positive behaviors. Just like the old saying regarding teeth, “Ignore them and they will go away!” So, too, will positive behaviors. 7. Maintaining inconsistent and/or unstructured discipline for your child. How would you feel I f your boss changed workplace policies every other week? Or if your favorite TV show was on at a different time each week? Frustrating huh? That’s how your child feels when you fail to provide structure and consistency. 8. Failing to follow through with consequences. Nothing says, “I’m a push-over” more than a parent that doesn’t follow through with consequences. To be an effective parent, one must possess a strong backbone! 9. Setting a poor example for your child (being a negative role-model). As we all know (or should know), children are very observant…and will often pay more attention to what their parents DO as opposed to what their parents SAY. 10. Enabling and promoting your child’s sense of entitlement. 11. Maintaining a cluttered and/or chaotic household. Someone once made the observation, “A cluttered environment leads to a cluttered mind.” I think the same applies to a chaotic environment/mind. So there you have it! Eleven ways in which you might be sabotaging your child’s behavior! This entry was posted in Family Issues, Parenting, Parenting Tips on November 24, 2015 by admin. Halloween is quickly approaching. Soon, images of zombies, witches, skeletons, and all sorts of scary beings will be commonplace. Haunted houses, corn mazes, and Halloween parties are certain to be on the list of “things to do” for most adults. It’s also that time of the year when scary movies inundate every television channel. With that being said, please be aware of the potential trauma you may be causing to your child by allowing him or her to watch these types of movies. The danger in doing so has nothing to do with your child’s potential to become a serial killer in the future….but to instead have long lasting psychological effects such as anxiety, sleep problems, and other such issues. The ratings are there for a reason…I suggest abiding by them and making sure your child does as well. Over the last few years, my two daughters have entered into a handful of new friendships with a number of classmates, neighbors, teammates, and other “associates.” Some of those friendships have stood the test of time (at least so far) and others have not. The answer to this question is probably best answered by asking further questions. The answers are obvious and should be used to determine whether or not a friend is worth keeping…or if he/she should be kicked to the curb. Do you and your friend have anything in common? Does your friend seem genuinely concerned about your feelings? Does your friend encourage you to make good decisions? Is your friend a good listener? Can you confide in your friend? Is your friend honest and trustworthy? Is your friend tolerant and accepting of those that are “different” from her? Do you genuinely enjoy being around your friend? Do you ever get the feeling that your friend has taken advantage of you? Does your friend gossip about you to others? Does your friend “make fun” of others in an effort to be funny? Does your friend ever pressure you to do things that you know aren’t right? Is your friend there for you always or is she simply a “fair-weathered” friend? Do you have a genuinely good time when you hang out with your friend? Does your friend have a positive outlook on life? Does your friend treat others with respect? So, how does your friend look to you now? Has your opinion changed? After answering these questions, is your friend worth keeping? Why try a behavior contract with your child? Because they promote and encourage positive behavior. Because they clarify behavioral expectations. Because children learn accountability and self-discipline from them. Because they make privileges and consequences predictable. Because they create an environment that is consistent and structured. Because they open the lines of communication between child and parent. If you are looking for a set of prewritten, downloadable behavior contracts then please visit www.ParentCoachPlan.com or www.TeenBehaviorContracts.com. Both sites offer highly affordable behavior contract packages that cover a variety of behavioral issues and character traits. Each package also includes additional parenting tools as described on the site. Such a great quote…but have you really sat down and thought about it? 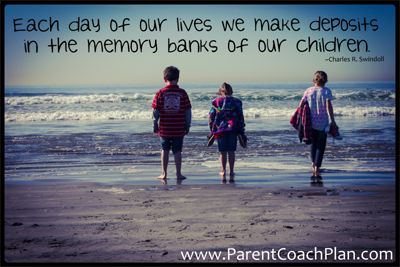 What memories are you leaving your children with? Are they going to remember you as a kind, fair, hard-working parent? Are they going to remember how well you treated others or maybe how passionate you were about the things that made you happy? When they picture your face will you have a smile? A frown? A stressed-out look? Will they remember how safe and secure they felt in your (their) home? Will they remember you as a good housekeeper or as a complete slob? Will they remember your good home-cooking or will they remember eating fast-food every day? How will they recall your relationship with their mother/father…and how much of it will they emulate? Would that be a good thing? Will they have memories of you drunk? Stoned? High on prescription pills? Will they remember multiple boyfriends/girlfriends of yours coming in and out of their lives? Children watch their parents…much more than we might know. It is therefore important that we parents set our own standards high enough that our children will remember their childhood days as having been positive, safe, loving, and nurturing. Negative memories breed emotional burdens, anxiety, resentment, and bitterness. Try at all costs to avoid leaving them with these types of memories. It’s quite scary to think back at all of the things our children might remember about us…but we can start making positive memories from this day forward. It’s difficult to erase the negative ones but if we fill our children’s memory banks with many more positives then we can at least hope that some of the negative ones will be forgotten. ParentCoachPlan.com offers a unique set of prewritten behavior contracts that address a variety of child-related and teen-related issues. 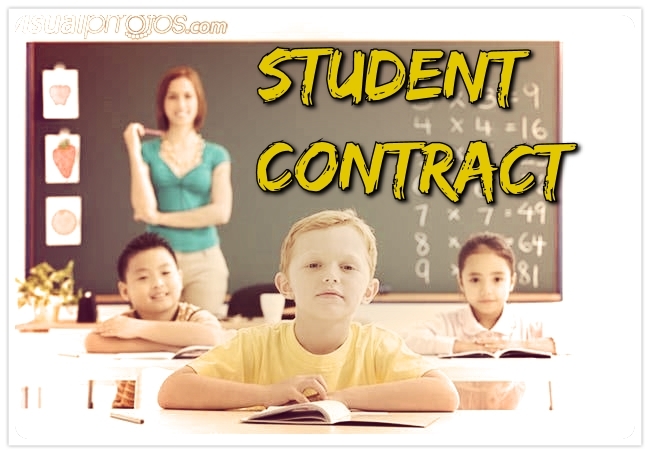 The most sought-after contract on the site is the student contract which is offered in their Behavior Management Package. Sure, there are several other contracts in the package (besides the student contract) but for some reason it is the student contract that seems to get all of the attention. The contract aims to keep students on-task, properly prepared for class, respectful of school property, and compliant with school rules. The student contract is prewritten and can be downloaded immediately from the site then put into use shortly afterwards. Teachers love the student contract because it helps their students focus. Parents love the contract for the same reason and also because there is built-in accountability since there are consequences for not meeting the contract’s expectations. Because the student contract is so popular, ParentCoachPlan.com also includes it as part of their Classroom Management Plan (also available on their site). It is also included in their “Teen Contracts Package” on their sister site www.TeenBehaviorContracts.com. So, no matter which “behavior contract” package works best for you, there is certain to be a student contract included in that package. If you are interested in checking out any of the aforementioned contract packages then please click on the relevant ads located in the right-hand column of this page. You’ll then be taken to the site where these wonderful parenting tools are available. The contracts are highly detailed and easy to use. Simply print, read, and sign…then sit back and enjoy the results. Okay, so here it is…a list of 7 ways in which I almost killed my daughter. If not for her resilience, my experience as a father may not have lasted past the first year. So glad she survived the errors of my ways! Didn’t slice a hot dog small enough when she was a toddler and she almost choked. Backed out of the garage and almost hit her, not realizing she had come out of the house to say goodbye. Didn’t put the “gate” up at the top of the stairs because I figured she was old enough to not try to navigate the stairs on her own. I was wrong. When she was one year-old I left her in a room for about 10 minutes…and in that room was a bag of packing peanuts that was within her reach. Fortunately, she had no interest in that bag! When she was an infant, I set her on a table at a restaurant (in her car seat) and forgot to stabilize it. She fell about 4’ off the table…face down. She was startled, but in better shape than me. Thank goodness she was still buckled in! Allowed her to play with Lego’s…way before I should have. Almost got into a car accident because I was too busy “appreciating her cuteness” in the rearview mirror. When she was in middle school I joined her and her friends during a dance party at our house. She almost died…of embarrassment! This isn’t really something I did, but she once had a diaper that was so bad…it quite possibly could have killed her if I hadn’t changed it when I did. So there you have it! I’ve confessed…and I feel much better now!